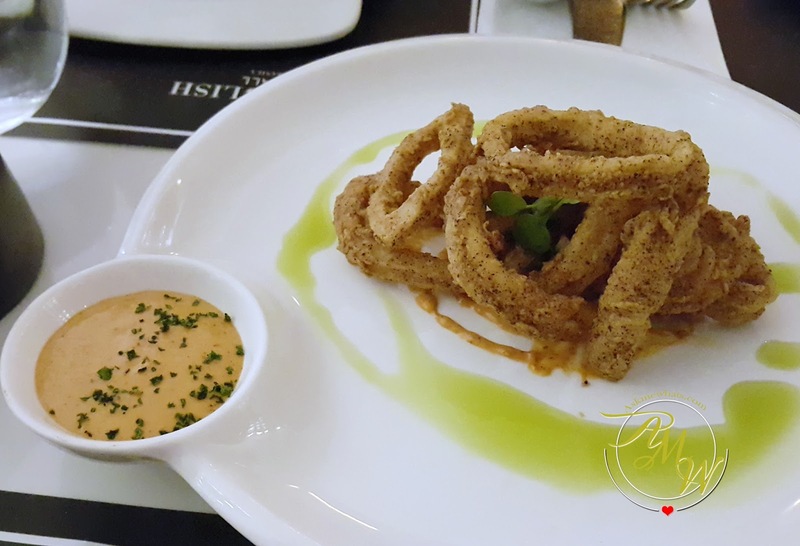 I went to dine at Todd English Food Hall at SM Aura a couple of times for events. The experience has always been wonderful so one fine weekend, I've finally decided to take my family to experience the good food I experience whenever I go to events. We've decided to check out online reviews on what's the best food to order and we went for that, no need to think or decide! This is a MUST if you are a fan of calamari! I like how it's soft on the inside (easy-to-chew) yet extremely crunchy on the outside. 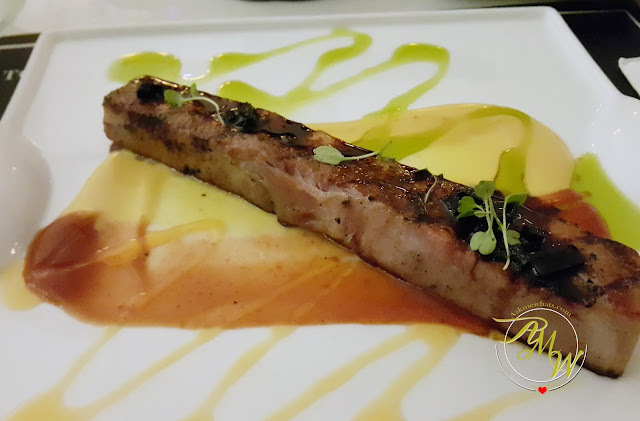 Lightly smoked home-cured Bacon served with squash puree. This doesn't look as appetizing or as amazing as we imagined BUT, this is the best dish of the night! You know how nostrils get big when you get amazed with the dish that got in contact with your taste buds? THIS IS THE ONE DISH that made all our nostrils grew humongous! Okay, not a good description, but I rest my case! A MUST! 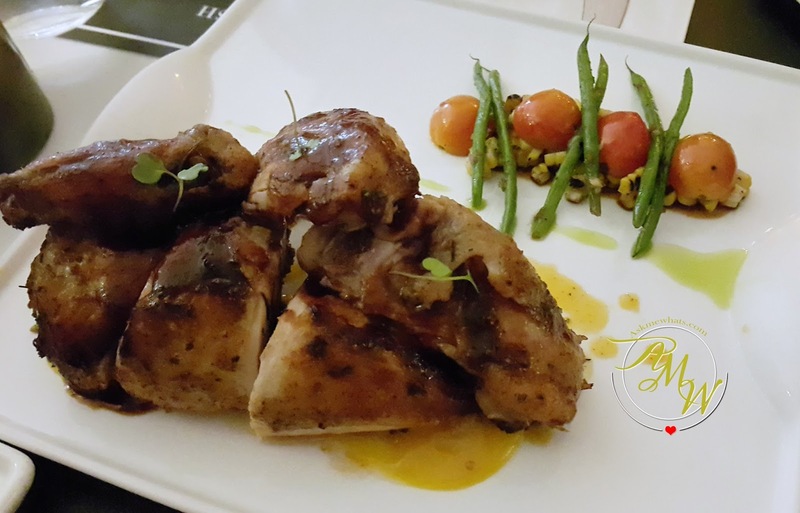 and french beans served with mango vinaigrette. This comes in a huge serving of Half Chicken so this can be shared if you are not a heavy-eater! I like how the chicken looks "normal" and just like any home-cooked chicken you see. That's the point, it felt so home-cooked it actually warms the tummy eating this. Just like a mom's cooking, it doesn't have any special flavors but just the fresh, tender meat on the inside with a nice slightly "crunched" thin skin on the outside with a nice serving of mango vinaigrette which made this dish unique in its own way. sweet potato and demi-glace sauce. 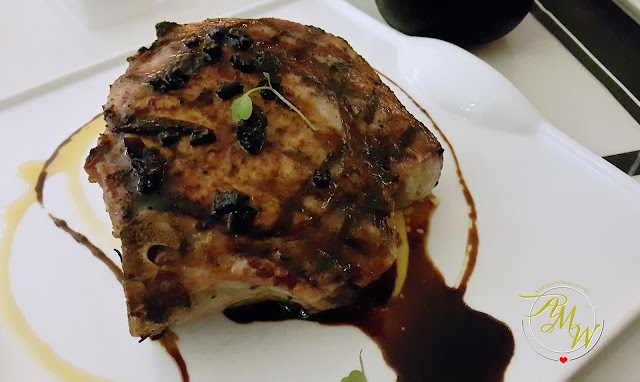 This particle pork dish has been raved over and over again on various Foodie Blog Sites! I understood exactly why after trying this out. Because this is brined 48 hours, you get extremely tender pork, easy to slice and easy to chew and bite! One of the most expensive rice dish I've ordered for the amount I get BUT, don't get deceived by the size of this! The rich flavor of duck on every spoonful is enough to keep you full! 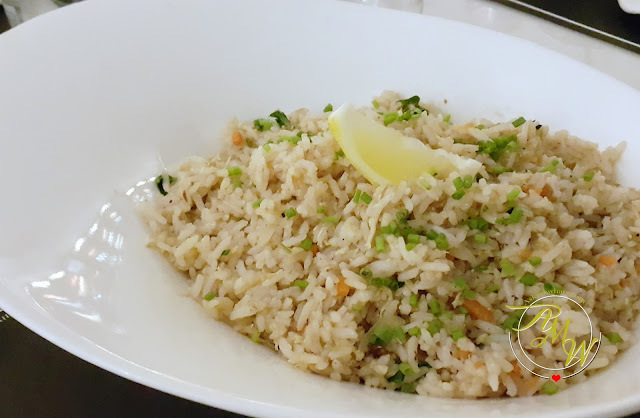 I actually felt it was too rich I ordered plain rice and added a bit to lessen the intensity of the "oily" feel. To each their own, I'm just not of a duck person but my parents enjoyed it a lot! I've tried this dessert so many times and this is one dessert that puts Todd English UP on the map for the dessert category! 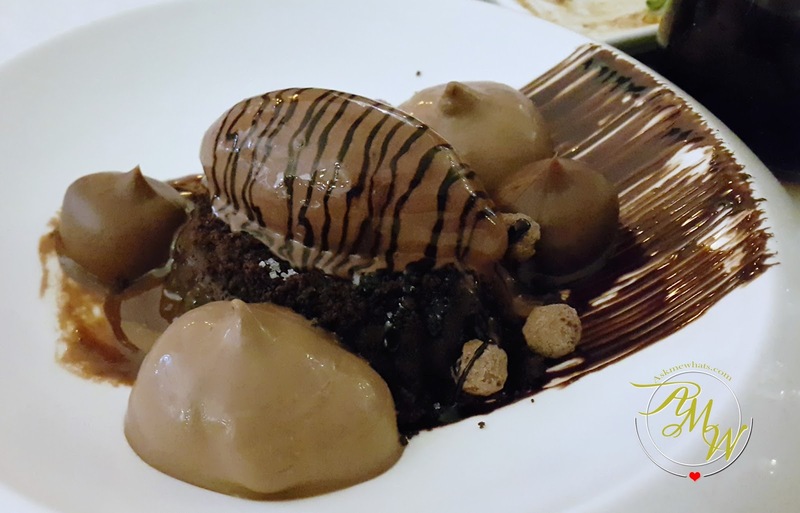 This dessert is a molten lava cake, with crunchy cereal, silky pudding and chocolate gelato! I am not a fan of chocolate cake but this really won my heart! 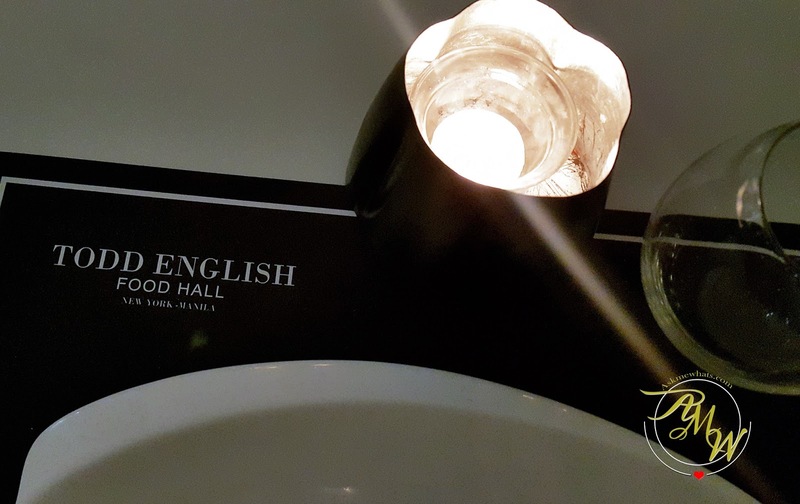 Have you tried Todd English Food Hall? What other dishes do you recommend me and my family to try?